Brand from South Korea: By Wishtrend. 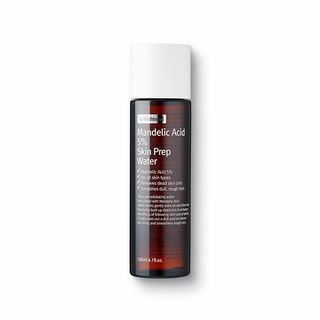 A hydrating and mild exfoliant formulated with Mandelic Acid that improves skin tone and skin texture while preparing your skin for other products. Suitable for sensitive skin. Use the product 2-3- times a week for sensitive skin. How to use: 1. Before applying toner, dispense a moderate amount of product onto a cotton pad and gently wipe over your face. How similar is shrijana's skin with yours? Take the Skin Assessment to find out how similar you are and find your SkinTwins.